Soaking up the sun with a Ocean themed cake with a police boat for Nat’s birthday! 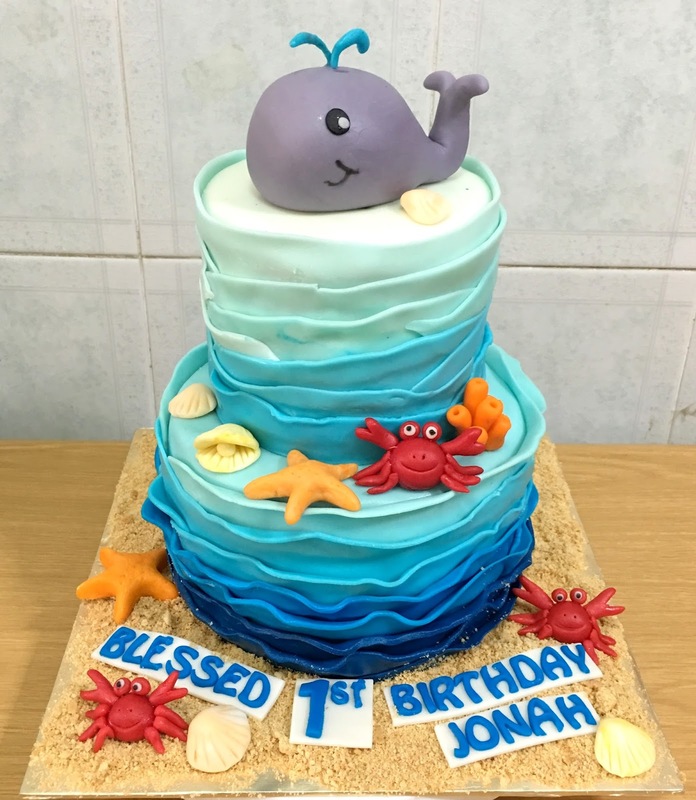 They didn’t want a fondant wrapped cake, so I use vanilla buttercream colored with a little blue Wilton edible food gel for the waves. Creating the wave like pattern is rather easy. Haha Messy is the way to go. You start off with frosting the bottom layer of the cake with a darker shade of blue. 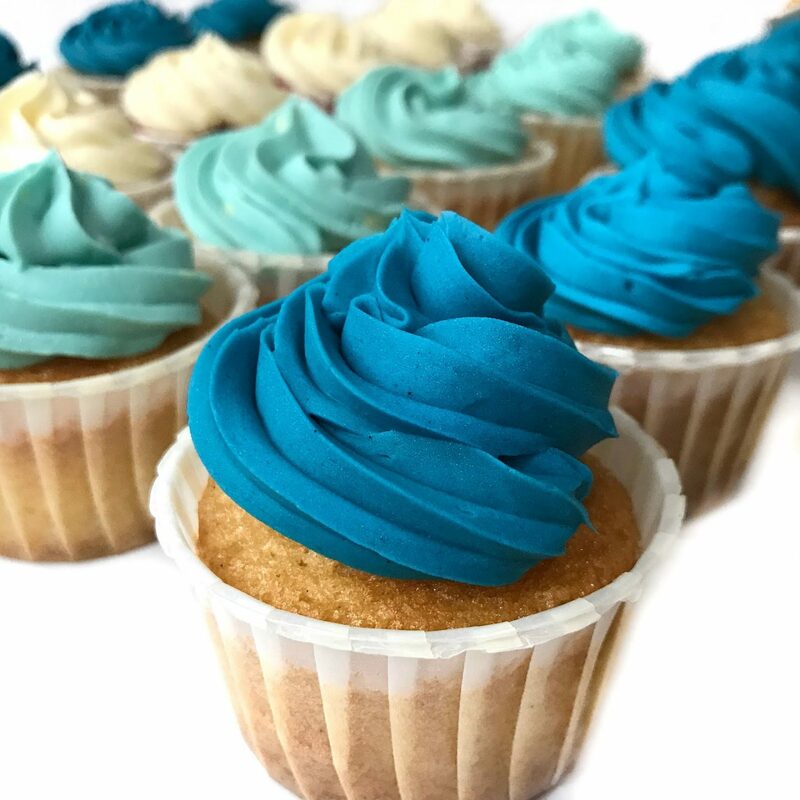 As you make your way to the top, the frosting gets lighter in color. Finally for the finishing touches, add a little white buttercream to random spots of the cake and blend them in using random strokes on the cake. 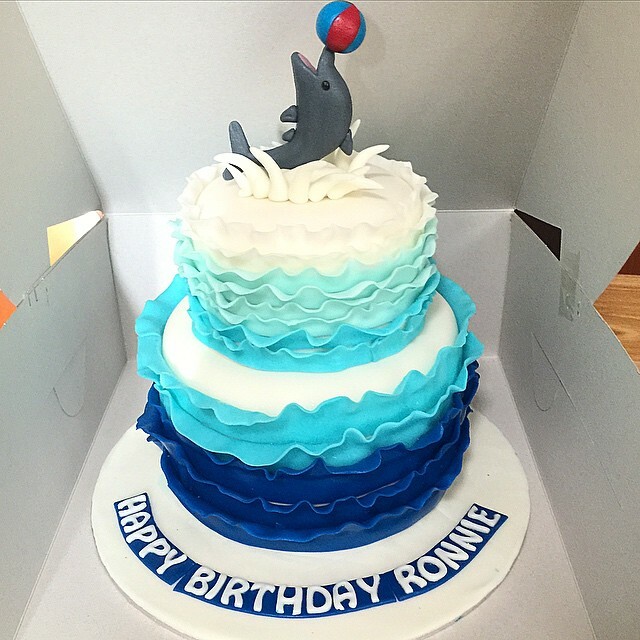 And Tada your very own Wave Cake! and of course the police boat as requested by the birthday boy! Previous Post Mango Mousse Rose Cake- Happy Mothers Day!